Taking in a lodger can be a great way to make some extra money and perhaps even make a new friend. However, it’s important to remember that you must put your safety before making money and this means vetting potential lodgers carefully. As well as safety you’ll ideally want to take in a lodger that you get along with and who shares the same values and ideas as you on issues such as cleanliness, noise, guests and so on. We’ve all heard stories about lodgers from hell. If you find the right lodger though, you could significantly boost your income. There are loads of places you can look for a lodger. The best place to start might be asking around people you know. Someone might need a room and if they are known by an acquaintance that you trust you have a good chance of getting a first-hand appraisal of the potential lodger. You could also advertise for a lodger in the local paper or online. Additionally, there are now websites dedicated to matching up lodgers with people with rooms for rent. Long or short-term students may also be in the market for lodgings, so advertising near campuses or in student areas is a good idea. Interview all applicants and always trust your gut instincts when it comes to choosing a lodger. Consider letting the room through an estate agency. This will be more expensive but could be worth it for professional checks. Request contact details for references. Always take them up and ask for them in writing. Have a rental agreement drawn up and checked by a legal professional. A contract will protect both you and your lodger. Generating extra income through a lodger can be great. However if you don’t know your responsibilities you could end up in serious hot water. By taking in a lodger you essentially have the responsibilities of a landlord. You must uphold health and safety standards. Check with bodies such as your mortgage provider, the local authority and your insurer to see if there are any implications arising from you taking in a lodger. You must declare your lodger’s rent as income on your tax return. You may find it helpful to consult an accountant about this as there may be costs you can offset against tax such as meals and bills. Enter the lodger’s deposit into the Deposit Protection Scheme in case there are any later disputes over the money. 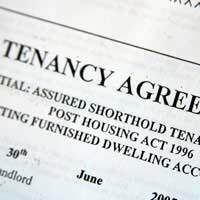 In order to avoid disputes and bad feeling between you and your lodger it’s best to establish some ground rules from the very start of the tenancy. Ideally you will discuss the basics of these rules at the interview stage to ensure you and your lodger are on the same page. Communal areas. Is your lodger welcome to watch TV with you and your family, or only at certain times? Will meals be provided for within the rent money or is the lodger responsible for all their own food? What chores will the lodger be expected to do?